For its relatively small geographic size Amsterdam has an abundant number of parks and playgrounds where you can take a pause during your adventures about town. They range from small, inner city playgrounds to large spacious parks where you can while away several hours. Wherever you are in town, a park or play area will not be far. If you are looking to find some nice, open space to go for a walk or stop for a picnic there are many beautiful outdoor parks around the city, all of which have plenty of green space, playgrounds and are ideal for cycling around in a safe environment. Vondelpark is Amsterdam’s largest park and is located close to the city centre. It is a beautiful and spacious parkland that has multiple activities and entertaining areas for the whole family (read more here). 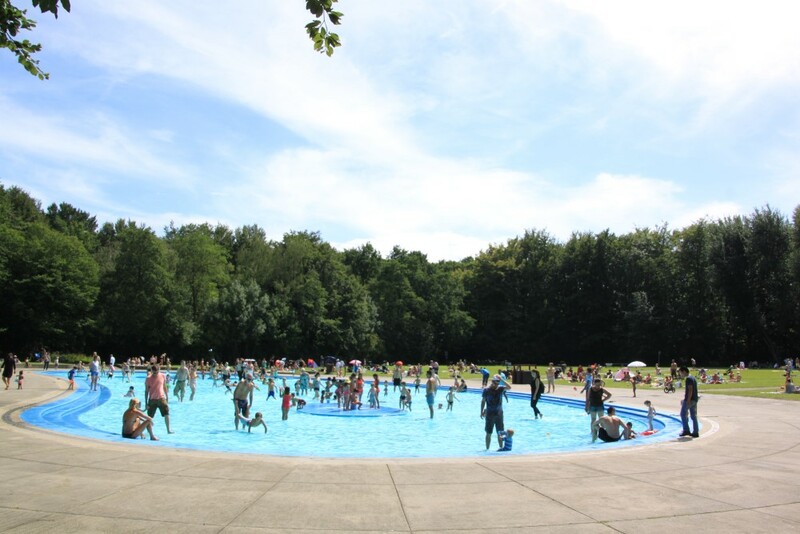 Westerpark is located in West Amsterdam and boasts pretty green spaces with a playground and Summer splash pool for children, as well as the very trendy Westergasfabriek — a recently developed area of the park that boasts a cinema, brewery, bakery, as well as several restaurants and bars. Westergasfabriek often plays host to weekend markets as well as specialty markets and events (see their calendar for current info), and is generally a lovely spot to spend time with the family within the peaceful grounds of the Westerpark. 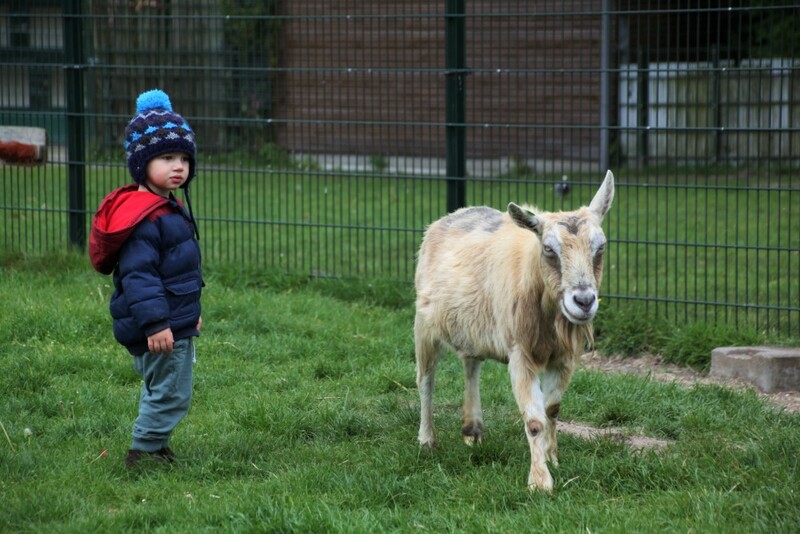 Rembrandtpark is situated further South-West and along with the usual parkland and playgrounds, has one special feature that you don’t find in most other parks – a petting zoo! 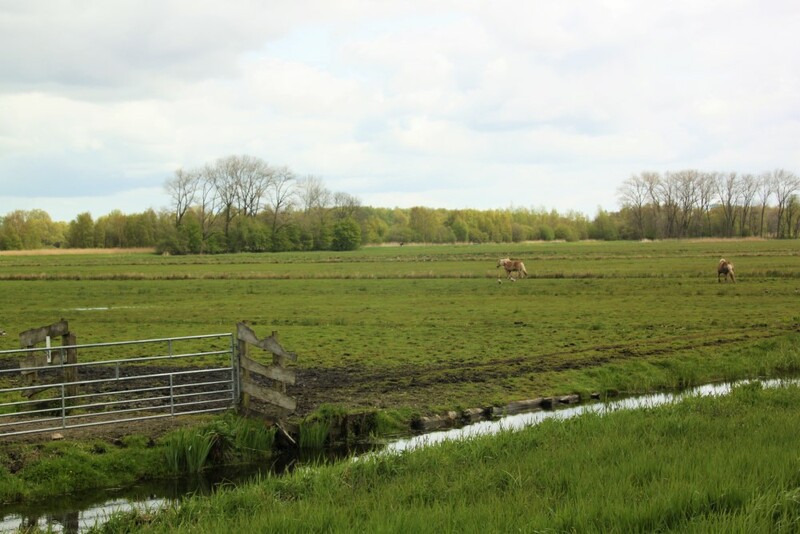 The Uylenburg has been around for over 35 years and here you will find a collection of sweet farm animals (pigs, goats, sheep, horses, bunnies as well as many different birds) that you can get up close to –or that get up close to you! There is also a lovely playground for little ones as well as a small cafe with outdoor terrace (nothing fancy, but handy if you feel like a refreshment during your visit). Sarphatipark is in the trendy De Pijp district and offers a perfect space to take a break if you are shopping in this bustling area. There is one large enclosed playground for children with climbing frames, slides and a large sand pit as well as pretty ponds and park area and even an outdoor gymnasium for the fitness enthusiasts. 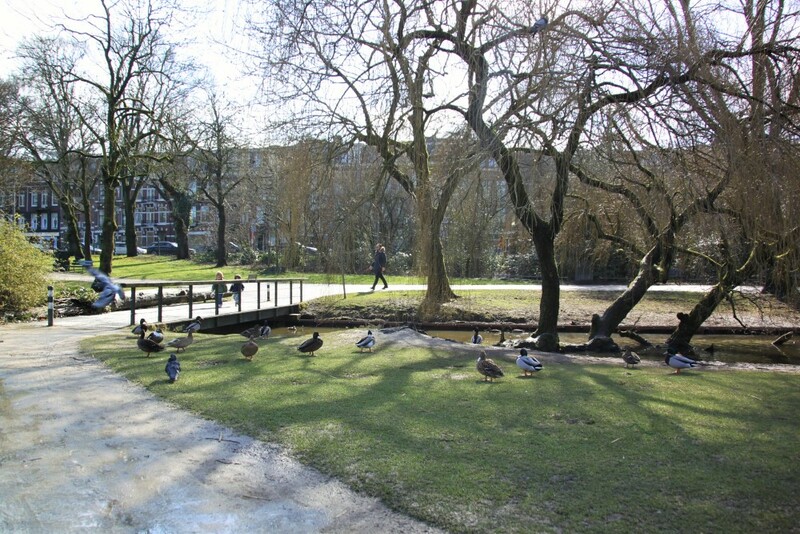 Located in the East is Oosterpark, which was actually the first public park created in Amsterdam. Oosterpark is a wonderful spot to come bird watching with the kids as it is known for its large population of wild birds — including herons, parrots and wild ducks. There are also important monuments and sculptures to be admired, as well as a large enclosed playground for children. 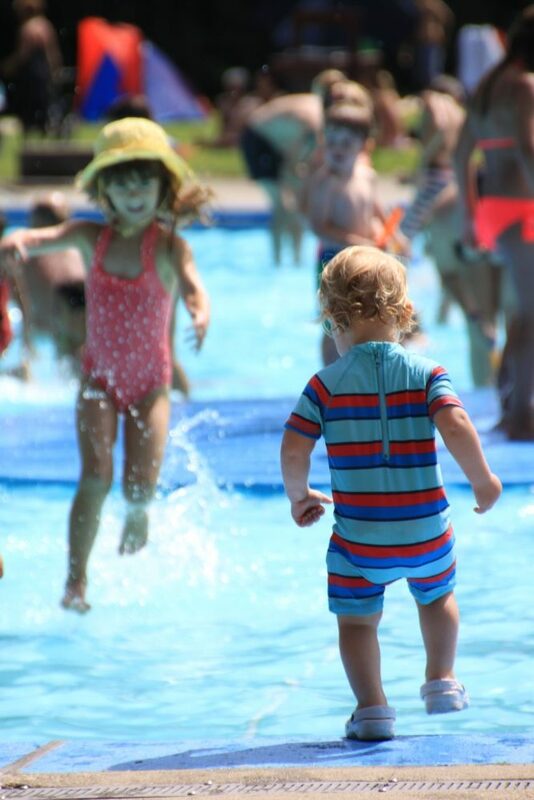 In the South you will find Beatrixpark, a gorgeous parkland with fountains, ponds, open grassland and a fun playground for kids with a Summer splash pool and ice cream shop. If you head further South from Beatrixpark you will come to the large and beautiful Amstelpark, named so because it sits alongside the Amstel river. 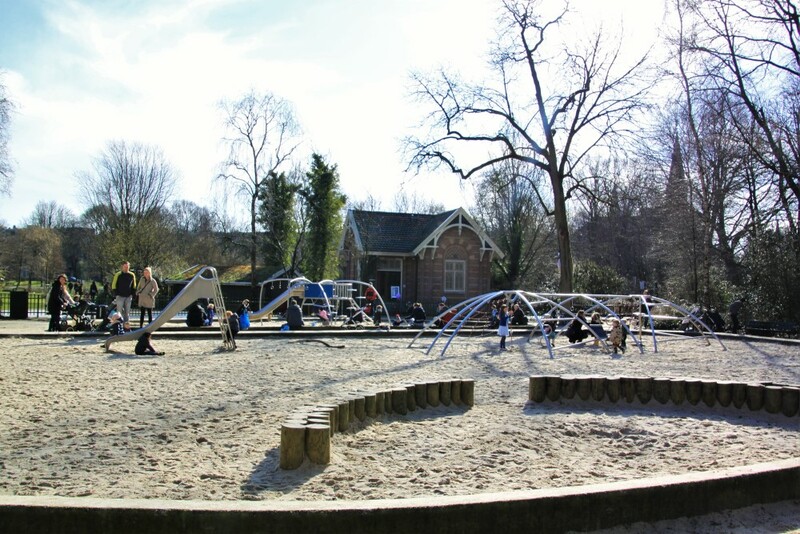 Amstelpark has many attractions for families: at the Speeltuin there are several playgrounds for different ages (it’s almost like a mini theme park for toddlers! 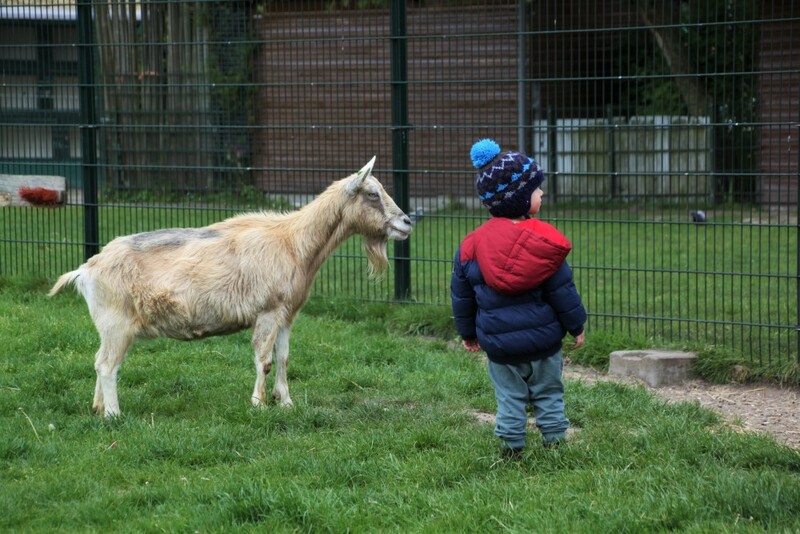 ), there is also a petting zoo, mini golf, train rides, beautifully landscaped gardens, as well as different eateries. Amstelpark is a little further out than many of the other city parks, but you can really make a day of a visit here, as there is so much to see and do. 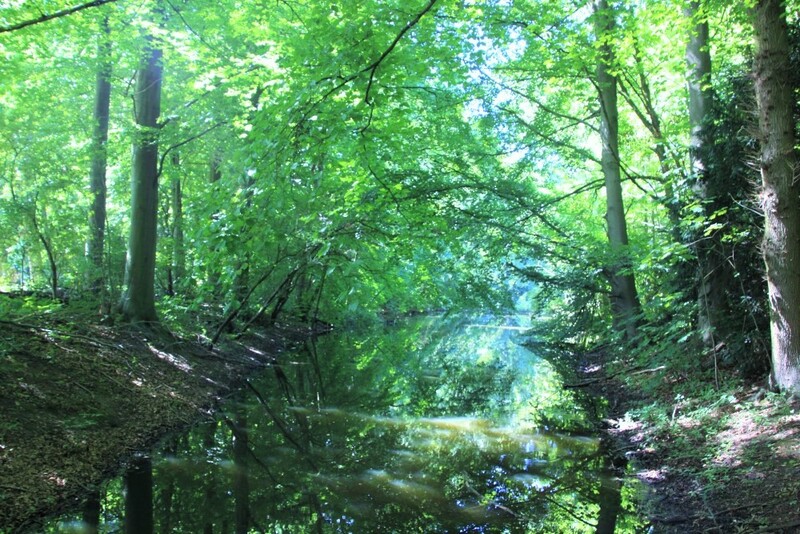 Finally, it is impossible not to mention the Amsterdamse Bos (Amsterdam Forest) when looking at great places to take a break in Amsterdam. The forest really has it all — it is expansive, peaceful, beautiful and there are so many different activities and attractions held within. The Amsterdamse Bos has something for everyone — you can come here to relax at a spa, go camping with your family, visit the goat farm or menagerie, have lunch at the pancake restaurant, go to one of the splash pools, paddle around in a boat or canoe, or even visit the fun forest climbing park (amongst many other activites). 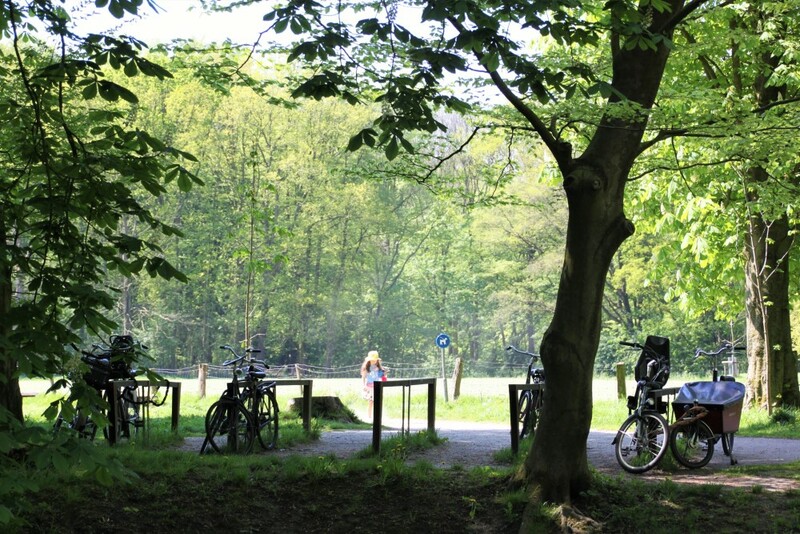 One of the nicest and easiest ways to explore the forest is by bike (as there are no motorised vehicles permitted in the forest), and there is a bike rental shop conveniently located at the entrance.